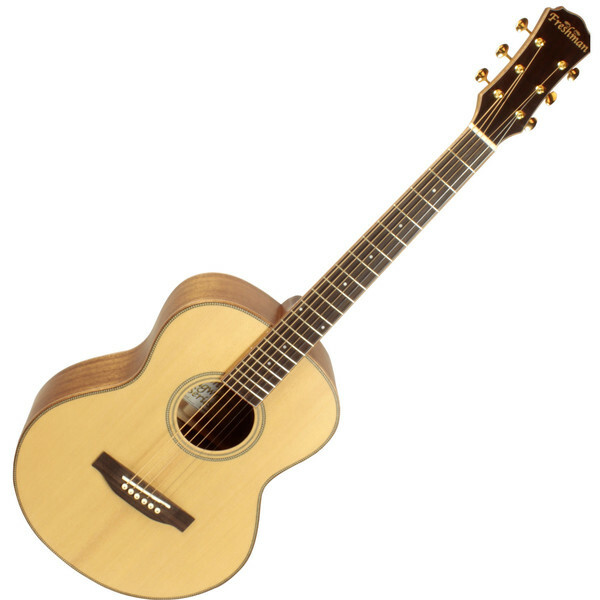 The Freshman Songwriter Traveller Guitar delivers a clarity and fullness unlike most other traveller guitars. This guitar gives you both volume and tone with a solid construction that you'll trust. Those who have tried the SONGTRAVNAT have all had the same reaction. It delivers a clarity and fullness of sound unlike any traveller they have heard before. Thanks to an innovative deep body design, the SONGTRAVNAT, with all solid tonewoods, produces all the qualities of a 'real' guitar. Designed for a truer acoustic sound, tone no longer needs to suffer in favour of size. Using a higher grade of tonewood than you would ever expect to find in this price bracket, the all solid SONGTRAVNAT features a beautiful AA Grade Sitka Spruce top, and select Rosewood back and sides, all subtly bound with Mahogany and finished with Herringbone purfling. These higher grade woods will age perfectly, rewarding you every time you play, with clean lines and flawless finish a hallmark of the series.